So you’ve decided to unleash your creativity and increase your productivity with the addition of a drawing tablet. Drawing tablets offer comfort, precision, and variety to the methods of your computer work. 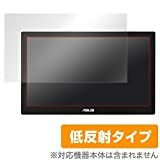 If you’re ready to ditch the mouse to do more precise graphics creation or editing, or just want to add a new toy to your computer setup, here are some helpful tips on buying the drawing tablet that will best suit your needs. Pen tablet: This easy-to-use tablet is perfect for the most creative tasks. This basic model is the customer favorite for its simplicity and functionality. Pen and touch: This offers the fun of using a stylus with the functionality of a trackpad. 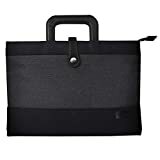 This combination will allow you to perform common functions as you would on a laptop trackpad with the option to use a stylus pen when desired. Interactive: This allows you to have the creative experience of drawing directly on a screen with your image. This types offers a natural feeling while your stylus pen performs like a traditional brush, pencil, or marker. Precision: Working with a stylus allows you to be precise and give your work a natural feel of drawing, painting, or coloring. A drawing pad will enhance your technique and final product. 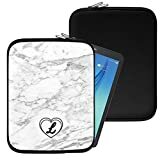 Easy to learn: It can be difficult to familiarize yourself with a new program or physical means of computer work, however pen tablets are a snap to learn, especially for someone who is not inherently technologically savvy. Versatility: Adding a drawing tablet to your computer setup will offer an additional means of creating or editing, thus improving the overall quality of your work. You will be able to mimic the feel of pen/brush/marker-to-paper. 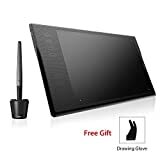 Price: There is quite a wide range of pricing for a drawing tablet. 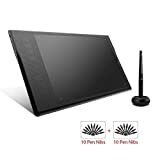 This device is an investment—if you are familiar with working on a drawing tablet and are serious about upgrading your experience and function, it is worth the money to invest in one of the more expensive tablets with interactive capabilities. 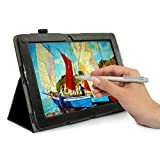 If you are new to drawing tablets and want to experiment with computer art and photo editing, a less expensive pen tablet is a great place to start. 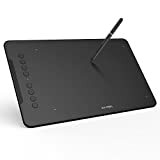 Task: Consider what you will be using a drawing tablet for, as functions vary between models. You should chose different models if you are doing professional work rather than getting creative on your own. 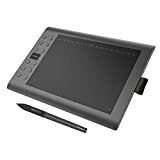 Capability: Each model has various capabilities—some drawing tablets offer solely a stylus function, while others allow you the function of a trackpad or to draw directly onto your work on the tablet screen. 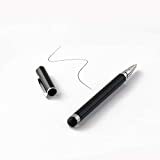 Huion: This relatively young high-tech company produces some of the most popular pen tablets used across the world by individuals, professionals, and in many educational settings. Wacom: With the goal of enhancing creativity in humans, Wacom produces powerful tools to promote expression and imagination. Turcom Electronics: Working out of southern California, Turcom provides wholesale distribution and direct retail shopping of audio equipment, drawing tablets, and security cameras.